Really, we’re talking about Monster Hunter levels of newbie-unfriendliness. On their first foray into the games, players can easily be overwhelmed by the mechanics, the difficulty, adapting to a different ‘type’ of combat, all of these factors. So let’s see if the world’s ready for Bloodborne. For the uninitiated, this is an action RPG from the guys behind Souls, a game both very similar and very different to its predecessors. It is set in the Gothic city of Yharnam, which is in the grip of terrible plague. The sickness has transformed the residents into bestial mutants. Who’s charged with cleaning up the horrors that inhabit the town? Spoiler: you are. While general movement about the world, items, abilities and such will be instantly familiar to fans of From Software’s previous work, there’s more to this. The games had a rather dark tone already, but Bloodborne is… darker than dark. It’s super dark. What we’re dealing with here is Demon’s Souls as created by Edgar Allan Poe. And Tim Burton. As has always been the case here, the plot takes rather a backseat. You are cast as a traveller, venturing into the doomed town to try and procure a rumoured mystical remedy there. Instead, you find that just about everyone has been struck down and transformed into big ol’ slavering bite-y, clawy hell-things. It’s a simple fight for survival, which is really all we need to know. If you’re familiar with Vita hunting classic Soul Sacrifice, you’ll know the sort of monsters you’ll be up against. As well as the sorts of weapons you’ll be wielding. 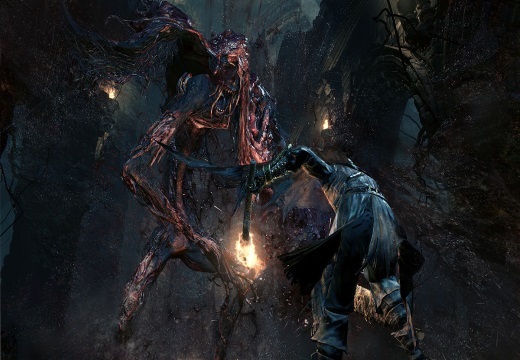 Bloodborne’s action is a constant mix of melee and ranged combat, with the two styles constantly melding into one. Blade and firearm are used simultaneously in combo attacks; firing shots can briefly stun foes which leaves them vulnerable to more powerful melee blows. It’s an elegant system, and helps prevent things feeling overly mashy. 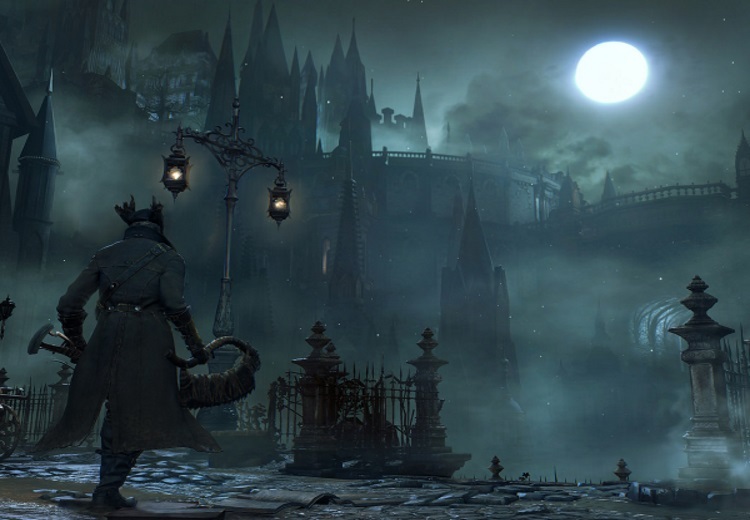 Overall, Bloodborne is one of the biggest PS4 exclusives of the year thus far. The Souls games have, of course, got themselves quite the following, and they’re all eagerly awaiting the March 25 release.